The Russian president said that investments in the regions around the Korean Peninsula should continue despite the escalation of the situation around North Korea. VLADIVOSTOK (Sputnik) — The investments to the regions located near the Korean Peninsula should continue despite tensions caused by Pyongyang's military activities, however the situation around North Korea is worrying, Russian President Vladimir Putin said Thursday. "You have asked a question if there is need to worry about the situation if the investments should be continued. I give you an affirmative answer to both these questions. We should worry… we see major tensions in the region. But at the same time, the investments should continue. Because if you end work in the region through the lens of economics, the situation would not improve, but it would worsen," Putin said during the plenary session of the Eastern Economic Forum (EEF) speaking about the investments in the regions nearby Korea. At the same time, the Russian leader said that he agreed with the statement of South Korean President Moon Jae-in that there would not be a large-scale conflict in the region. "As well as my South Korean counterpart I am sure that there would not be a large-scale conflict [in the region] especially with the use of weapons of mass destruction. 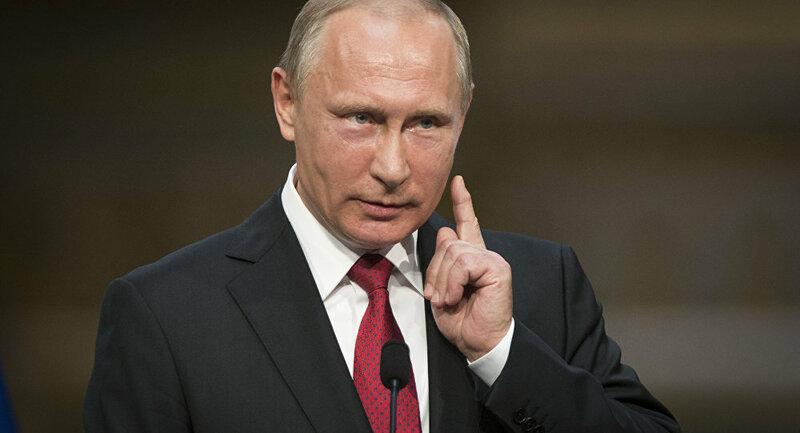 [I hope that] all the warring parties would have enough common sense and understanding that they bear liability to the people in the region, and we could solve this problem by diplomatic means," Putin said, adding that the crisis could be and should be settled. The Russian leader added that it was necessary to involve North Korea in economic cooperation and Russia had something to offer. "It is necessary to gradually involve North Korea in cooperation in the region, and Russia has specific proposals, everyone knows about this — a joint road linking the Trans-Siberian Railway and the Korean railways through North Korea, pipeline transport, development of North Korean ports and so on and so forth. We have something to offer and work on," Putin said at a plenary session of the Eastern Economic Forum. On September 6-7, the Russian port city of Vladivostok hosts the EEF started in the Russian city of Vladivostok, gathering over 3,500 participants from more than 50 countries. A number of world leaders are attending the forum, including Putin, Moon, as well as Japanese Prime Minister Shinzo Abe. Rossiya Segodnya International Information Agency is a general media partner of the forum.